Please welcome the updated Human Physical Immortality Roadmap. 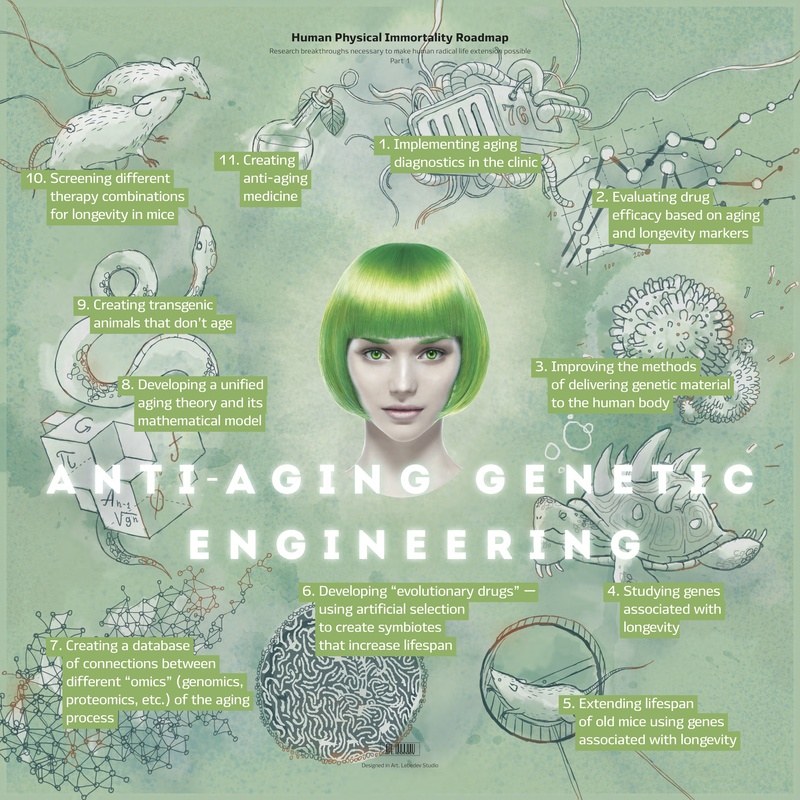 This is the first part where we look at the evolution of biotechnologies that will lead to significant lifespan extension in humans. The whole sequence of steps will yield the best result, but of course each individual step has the potential to become quite important in improving human condition, for example developing the biomarkers of aging and longevity. One of the goals of this roadmap is to clearly illustrate the feasibility of those technological advances that will save us from the debilitating diseases of old age and buy us the precious time to live our lives the way we like. The other 6 parts of the Roadmap: Regenerative Medicine, Digital Immortality, Cryonics, Cyborgization, Nanomedicine, and Artificial Intelligence.